It’s the 360 camera everyone has been waiting for and now it’s finally available to buy! The GoPro Fusion has been hotly anticipated in no small part due to the company behind it. People take notice when GoPro created a new product and the 360 camera industry has been begging for a stand out device among the many similar cameras released this year. 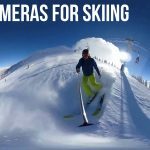 Could the GoPro Fusion be the 360 camera that gets more people shooting in 360 then ever before? Or is it just another 360 camera with a GoPro premium slapped on? Let’s find out! 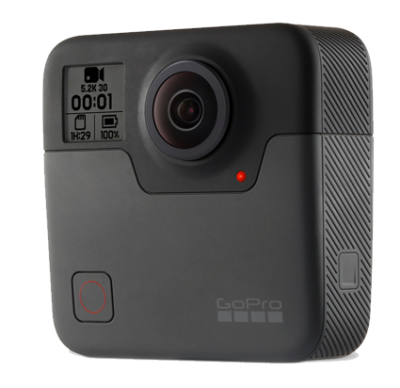 The headline features of the GoPro include the 5.2K video resolution, the “overcapture” feature and the advanced stabilization which GoPro claims is the best ever. 5.2K – The generally accepted minimum resolution for good looking 360 video is 4K. This is the resolution that most 360 cameras shoot at and it’s just about enough to create averagely sharp video, but still quite a way of from the HD quality that we are used to viewing. 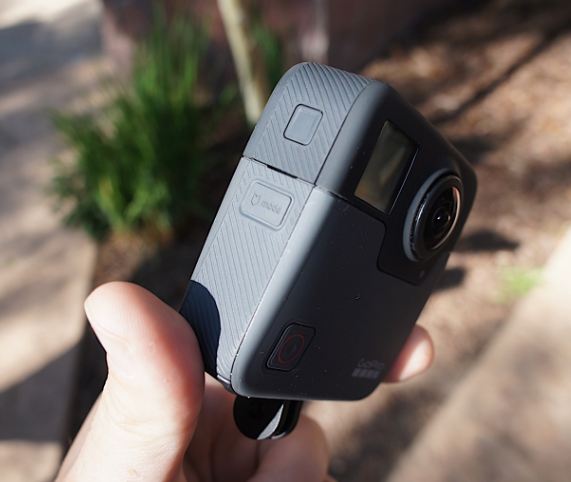 5.2K resolution is a big step up and allows the GoPro to create sharper looking 360 footage. Overcapture – The is the name given to the re-framing feature that GoPro has created. Using an app or desktop software you can manipulate your 360 video to create standard flat video where you control what the camera focuses on. This essentially allows you to shoot first and frame later, meaning you won’t have to worry about where to point or position the camera when you are filming. I’ll show you some examples of this effect later in this review. Stabilization – In order for the above two features to work well the video needs to be as smooth as possible. A common issue with 360 video is that if there is any shaking or vibration the video becomes unwatchable. GoPro have recognised this and developed their own software stabilization which will retroactively smooth out your video without you having to do anything. 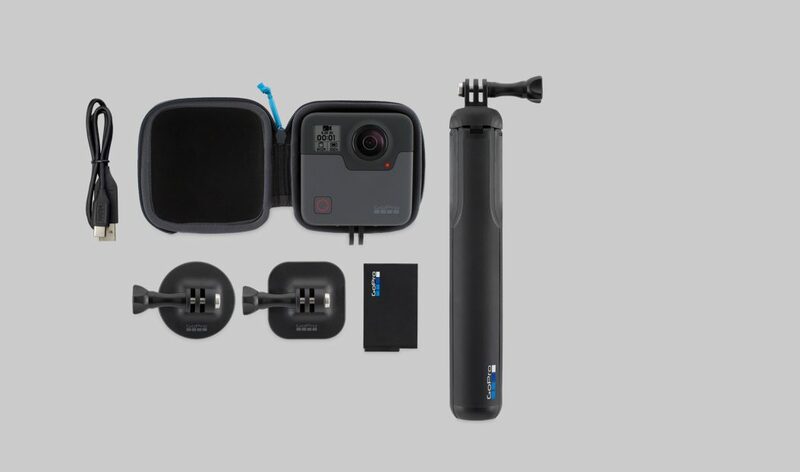 Other Features: Some other interesting features included with the GoPro Fusion include spatial audio, allows for a much more immersive experience when viewed with a VR headset. The camera is also waterproof up to 16 feet without the need for a protective case, although filming underwater rarely works well in 360. For your $699 you’ll not only receive a GoPro Fusion camera, but also a mini extendable tripod and protective carry bag. You also get a removable battery and a few GoPro mounts. Oh, and the Fusion is compatible with most GoPro accessories, which is great if you already own a different GoPro camera. 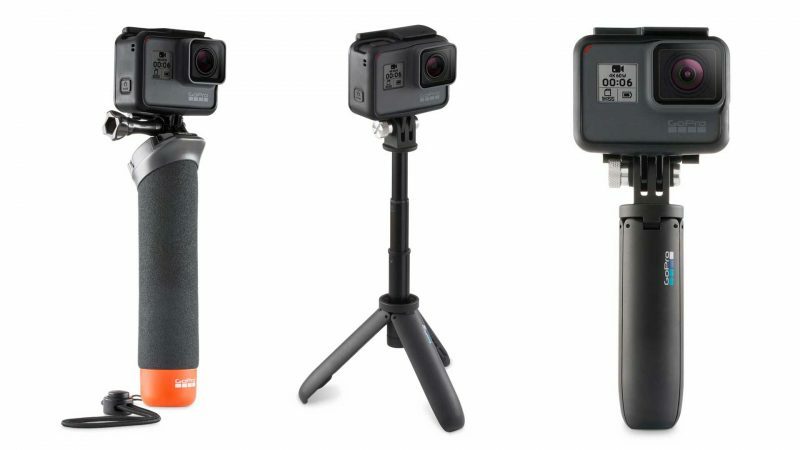 Most 360 cameras come with a tripod, which is required to use a 360 camera properly. Many of these tripods are fairly basic and small. The GoPro tripod is a high quality accessory that is perfectly designed for use with the Fusion and is a great addition to the package. Although not groundbreaking in itself, the small number of accessories included in the box are all designed specifically for the Fusion alone, something which few other tech companies bother to do. GoPro cameras are famously tiny, but in order to pack in two lenses for 360 filming the Fusion has had to put on some weight. It’s a fairly large and thick camera, even compared to other 360 cameras. This could lead to issues with stitching as usually the further away the lenses are from each other the worse the stitching is, but we shall see in the video examples if this is the case or not. The square shaped device features a small screen and power button on the front of the camera, useful for viewing key information and missing on most other 360 cameras. The rest of the body is largely empty save for a power button and charging ports. On one side of the camera you’ll find the batter and SD card slots and on the base you’ll find a GoPro mount port to attach your GoPro accessories with. Video is what the Fusion is all about, so let’s take a look at what it can do. Remember the Fusion can shoot at 5.2K in 360 degrees as well as in a flat mode called overcapture. Remember to set the YouTube video quality settings to maximum in order to see the video at its best. A lot of preview videos with the GoPro Fusion were clearly heavily edited, so I wanted to show you a video that’s basically straight from the camera to YouTube. This was shot in pretty bland, overcast conditions with little color variation, yet the video is very clear when watched at the highest quality. You can clearly see the details in the leaves and the trees which is a good sign. Is it amazing? Not really, but in these conditions I wasn’t expecting the best output from the camera. I’m particularly impressed with how stable the footage is, it seems that GoPro’s stabilization software is working pretty well. One thing that concerns me slightly is how blown out the sky is. Overexposure is a common issue in 360 cameras and I was hoping GoPro would go someway to rectify it with the Fusion. From the Awesome DC Rainmaker is this video from Paris testing out the low light capabilities of the GoPro Fusion. Low light is tricky in 360 and not many cameras handle it well, check out my low light video comparison to see which ones are best. The Fusion again produces a decent looking video here, although there is quite a lot of noise in the darkest areas. The location is actually pretty well lit, so this isn’t really a low light video, but it’s good to see how it handles artificial light at least. Is this the best low light 360 camera? I’ll have to wait to shoot some video in true low light conditions to find out, but this is pretty decent. What excited me most about this video is the directional audio. If you turn to face the Norte Dame you can hear the bells louder, but turn away and they are quieter. This is a result of the 360 audio feature which is found on quite a few 360 cameras now, but seems to be working well on the Fusion. This is a pretty standard daytime 360 video shot with the Fusion and where the camera should be at its best. Conditions are perfect for 360 video and yet the quality doesn’t blow me away. It looks good when viewed at the highest setting, but for $700 I was expecting better. I can get similar quality 360 video with a $400 or even $300 camera. What I will say is that the colors look great, not too saturated or dull, and there is almost no seam line visible throughout the video. This video quite frankly makes me want to vomit, but only because I’m terrified of heights. It’s actually a great example of the overcapture feature and how you can use the Fusion to shoot standard video as well as 360. This footage was captured in 360 and then edited using the GoPro editing software. You will eventually be able to use the official app to achieve this effect, but it won’t be available until early 2018. This is a perfect example of how to use the GoPro overcapture feature. I’m extremely impressed with this video, and it’s been made from someone who doesn’t appear to be an expert in cameras (but is clearly a very good snowboarder). Overcapture allows you to capture everything at one then choose the best bits, it also allows you to smoothly pan from a tiny planet view to normal, something that this video does with excellent results. Anyone who wants to replicate the awesomeness of this video will need a 360 camera, and the Fusion just might be the best one for creating this type of video. The 360 video coming out of the Fusion is good, great in fact compared to most 360 cameras. But then again most 360 cameras don’t cost $700. The Fusion has excellently smooth stabilization and seems to work well in low light, two areas where many other cameras fail. In perfect conditions the Fusion can produce pretty amazing video. I have noticed that uploading to YouTube only results in 4K video rather than the 5.2K that GoPro indicates, but this could be due to YouTube’s compression. Many people have also experienced issues with the software, which appears to be very slow. Render times are also very long unless you have a powerful desktop. It may be a while before GoPro release enough updates to fix the software, which appears to be in beta at this point. Other 360 cameras that can shoot in 5K include the Garmin VIRB 360 and Yi 360 VR. As I said before, the GoPro Fusion is primarily a video camera (like all other GoPro’s), but that doesn’t mean you can’t snap a few 360 photos if you want to. The Fusion can shoot 18 megapixel images, which isn’t amazing compared to other 360 camera out there right now, but also not awful either. Let’s take a look at some images shot with the Fusion. Bare in mind that Facebook reduced the quality of the images after they have uploaded, but never the less the examples confirm my suspicions that the Fusion isn’t great at photography. The image quality is acceptable, if a bit blurred, and once again the stitching is pretty perfect. If you were looking for a 360 camera specifically for photography, I would not recommend the Fusion. Check out this post for the best 360 cameras for photography if that is what you are seeking. 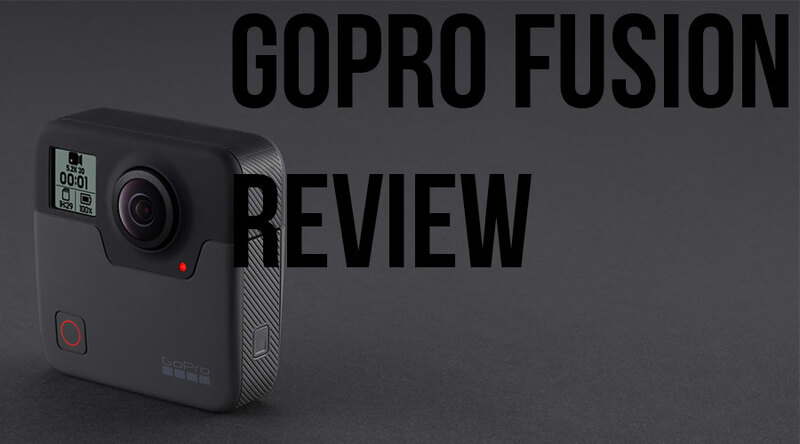 The GoPro Fusion is a premium, high quality device with an array of features few other 360 cameras boast, but it is expensive. Is the Fusion worth the $700 investment? It’s really hard to say for now, because while the hardware is great there have been more than a few issues with the software. What I will say is that it’s a very promising device, and the Overcapture feature may attract enough attention to bring 360 cameras more into the mainstream than ever. 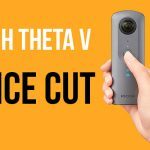 Cheaper 360 cameras that I recommend include the Ricoh Theta V and Insta360 One. If you are looking for an action camera similar to the GoPro, the Garmin VIRB 360 is an excellent choice but also expensive.